The United States Food and Drug Administration (FDA) described a generic drug as “identical, or bioequivalent to a brand name drug in dosage form, safety, strength, route of administration, quality, performance characteristics and intended use.” In other words, generic drugs have the same effects as their brand-name counterparts. Those who buy generic drugs chose for a cheaper option to more commercialized medicines. An example of a generic medication is metformin, used to treat diabetes. Its branded name is Glucophage. Another example is metorpolol, a treatment for hypertension with Lopressor as its brand equivalent. Generic pills are not sold at cheaper prices because they have lower quality. In fact, the US FDA calls for all generics to pass their standards. Since they have the same chemical compositions, generic meds have the same benefits and risks as their brand-name counterpart. 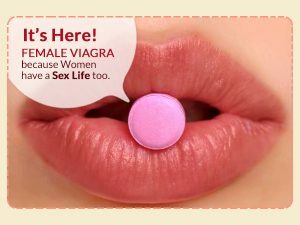 Most brand manufacturers are also involved in fifty percent of generic pill production. These manufacturers also produce copies of their patented products to sell them for cheaper costs without the brand name. Generic meds are offered at cheaper prices because they are no longer protected by patents. The competition in the market increases, the medication is sold at a more affordable price to give it some advantage. There are fewer costs incurred compared to inventing the original patent, so the drug company can maintain profit selling at a low price. Brand-name pills on the other hand are sold at higher prices because of the expenses incurred from coming up with the drug itself. New pills brought to the market need to attain a return of investment from the expenses incurred through researching, developing and also marketing the drug. The patent gives protection to these expenses and allows the developer sole rights to sell the new drug. Patent protection lasts for twenty years starting from its date of submission. Towards the expiration date of the patent, the producers can now apply their generic counterparts to the US FDA. The increasing number of patent expirations and people’s need for low priced medication has increased the production of generic medication in Asia. 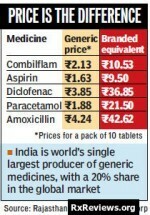 In India, many pharmaceutical companies are responsible for generic versions of successful drugs. Some Indian producers are even developing generic versions of biotech drugs. The Philippines also plays a huge role in the generic medication market, with an expanding share of thirty one percent headed by three to four worldwide manufacturers. The FDA’s course of action against Ranbaxy does not affect the quality of imported generic drugs. Instead, it reveals the high standards that the Food and Drug Administration has for all prescription drugs. Generics manufactured in Asian nations have the same components and go through the same procedures as medications made in more developed nations like US or Europe. Americans who buy pills from India or China need not worry as these manufacturers are required to fully document the drug’s chemistry, manufacturing procedures, and quality assurance measures. The generic pills or drugs must also meet the specifications of the US Pharamacopoeia, the organization that sets the standard for drug purity in the country. The drug manufactured should remain effective until its stated expiration date and observe the good manufacturing processes of the FDA. A full description of what the firm uses to create, process, package, test, and label the product is submitted also. The FDA also conducts inspections to verify if the manufacturing facilities are observing with their requirements. How do I know generic drugs are safe and good quality?